Have you updated your Last Will & Testament, Power of Attorney and Health Care Proxy/Living Will? Circumstances may have changed and some documents could be ineffective due to some changes in legal requirements. 1. How your assets are to be distributed to your heirs? 2. How your minor children will be cared for by the appointment of a Guardian and funding of a Trust? 3. What you would like or dislike pertaining to medical intervention? Have you made the probating of your Estate a smooth process for your family while they are coping with the loss of their loved one? It is never too late or only for the wealthy to prepare your Last Will & Testament, Durable Power of Attorney, Health Care Proxy or Living Will. So whether you need to update your information or preparing for the first time, we are here to guide you through this process to ease the burden on your family members. We will assist you with the Estate Planning process to ensure all of your desires and wishes are known while living and after death. We will be here to help your loved ones from the beginning of the Probate process with the filing of necessary documents in a timely manner to open your Estate, through the distribution of assets to the beneficiaries, to the final step of closing the Estate. We will assist and guide the Executor of your Estate through the Probate process including collection of assets, inventory, transfer and distribution of your assets, filing claims for life insurance policies and any litigation that may arise from the cause of your death. Through an appointment of a Guardian, you are able to express your desires for the future care of your minor children. If these desires are not legally made known, the Probate Court will make the final determination of who will care for your minor children which could take longer and could lead to more expenses incurred. 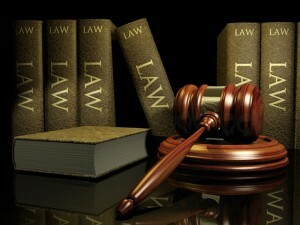 Call the Law Offices of Cicio & Cicio, P.C. located in Jefferson County, Alabama for your free consultation and legal needs at 205-939-1327.